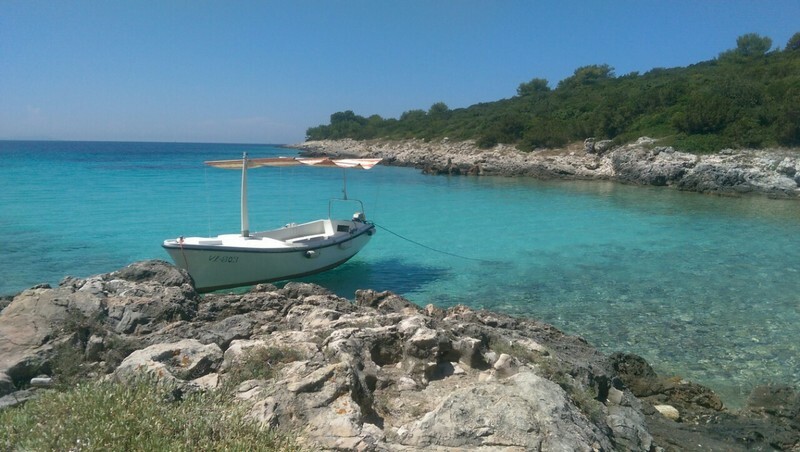 While on vacation on this beautiful island, take the opportunity to rent a boat with your family or friends and spend an unforgettable time exploring uninhabited islands, hidden coves and gentle ride along the rugged wild cliffs. Organize your day off, without haste, without the crowds; make your original picnic with the sound of the waves, the song of cicadas, perhaps on a secluded beach, which will only become yours. Does it sound good? This perfect vacation is closer than you think! Maestral is a great boat to travel short trips, trips with the family and going fishing. There is enough space that you can be comfortable on it. Boat has option of ladders in to the sea and for swimming is not necessary landing along the coast. Easy to handle and manoeuvre, but it will satisfy the less experienced operators of boats and permits for operating this boat are not required, and it has good stability. The deposit for the boat is 100 €. Hiring a boat includes a short training, status check and inventory of the boat, advice regarding the weather and a map. The boat is provided with a full tank of fuel, and returned in the same condition. Fuel is not included in the price. Hiring is from 09: 00h in the morning and ends at 18: 00h on final days of use of the boat. Of course we are flexible with the time limits, and we can adapt to difference in time before the agreed hourly rates. The boat can also be delivered and taken to a location that suits you, and in this case the delivery is charged separately depending on the distance. When taking over the boat, check the condition of the boat and its equipment.